Article detailing the history of social democracy and how it defends capitalism. "Back in 1911, Churchill had argued that welfare provision would deter workers from turning to “revolutionary socialism” and, by the 1930s, his prediction had proved correct." This still echoes today and sums the premise in a nutshell. Social Democracy is both the graveyard, and the gravedigger of every social movement. Under the mantle of “progressivism”, it sucked every chance the masses had at liberation. At various stages of social and economic development they compromised, but when something was won, small or big, they jumped to monopolize it. This policy of compromise, ultimately transformed them into the cornerstone of modern capitalism, it became the last bastion of capitalism. The result of this transformation can be ironically described as “capitalism with a human face”, in comparison with the capitalism of the late 19th century and early 20th century, which is characterized as “wild” capitalism. The “humanization” of capitalism; or better said the salvation of it, is the tragedy and irony of the old social democrats within the “First International”. It is actually a tragedy, when Marx, through his followers of course, prolonged the survival and perpetuation of the very capitalism which they vigorously fought against. And to dramatize the situation even more, from this social democracy the heretic son “Leninism” was born. While the former perpetuated capitalism, the later tried to escape its reformist shackles but ultimately succumbed to the same temptations; statism and most importantly compromise. Unfortunately, “Leninism” naturally became in its turn, the graveyard and the gravedigger of social movements, instituting the “worst of all despotic governments” as Bakunin truly “prophesied” some two hundred years ago. That said a pattern seems to be seen, the seeds are bad if the fruits are always rotted inside. While the heretic son was dismantling the free soviets and the factory committees after getting power in 1918 in Russia, in the same time the father was clapping down a revolution in Germany in the name of capitalism. Disillusioned by both, some Marxists tried to escape this tragic conundrum, even more questioning the very “socialist” nature of Leninism, and more importantly, trying to show the capitalist aspects of the order they institute in Russia. These aspects were no doubt the inheritance of social democracy, because whilst social democracy is on the center-left of capital; Leninism is on the left of capital neither of them breaking away from it. This marriage, between social democracy and capitalism is in reality the old marriage between the state and capitalism. 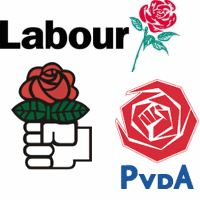 Social Democracy is the “progressive” face of the modern state apparatus; this apparatus was and still is the “executive committee of the bourgeoisie” as Marx noted. Let’s put aside the “power corrupts” concept (which is absolutely true in our case) and look at the historical meaning of the state in relation to the bourgeoisie. The modern “nation state” is the product of class antagonisms within the old feudal order; the mercantilist class representing itself in the “nation state” versus the multinational aristocratic class, representing itself in the multinational empires. The “National Awakenings” that occurred in the early part of the 19th century, were the products of these class antagonisms within various multinational empires. Such events were primarily led by the former local mercantilists, which now became the national bourgeoisie; their interests conflicting with the primitive aristocratic privileges. This historical process was called “revolutionary” by Marx himself, which pointed how the bourgeoisie destroyed the old feudal order; consolidated its power by creating the modern “nation state” i.e. the state; and through this providing a legal framework for capitalism itself. Or in simpler terms, the modern state was the one that firstly “legalized” capitalism. Considering the history detailed above, social democracy is the last defense of capitalism. Social democracy is embodied in the state. This is also the “sin” passed down to Leninism; trying to obscure the very concept of the “state” itself, the Leninists try to create certain variations of it, a “workers state”, “socialist republic” and so on. But how can one build on a structure which is foreign to the working class? The state in itself as a concept and structure is the product of the bourgeoisie. One cannot live without the other. Not drag this even more, the most important conclusion I think is this; social democracy is the compromise capitalism offered us under the form of the “welfare state”. Winston Churchill was indeed a heavy drinker and smoker, but that doesn’t mean he was dumb. Thanks for this. There's a US historian named Gabriel Kolko who says that early 20th century US was the age of what he calls conservative reforms - in the sense of conserving capitalism. I'm told that a lot of those reforms came from people who were paying a lot of attention to Germany, and that late 19th century Germany enacted a bunch of reforms for the reasons this post lays out.